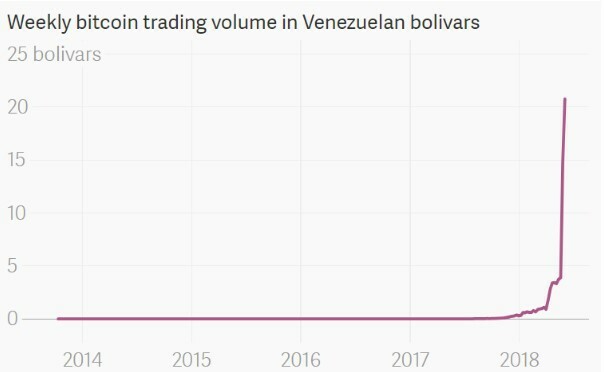 The Bitcoin trading volume in Venezuelan Bolivar has, recently, skyrocketed. 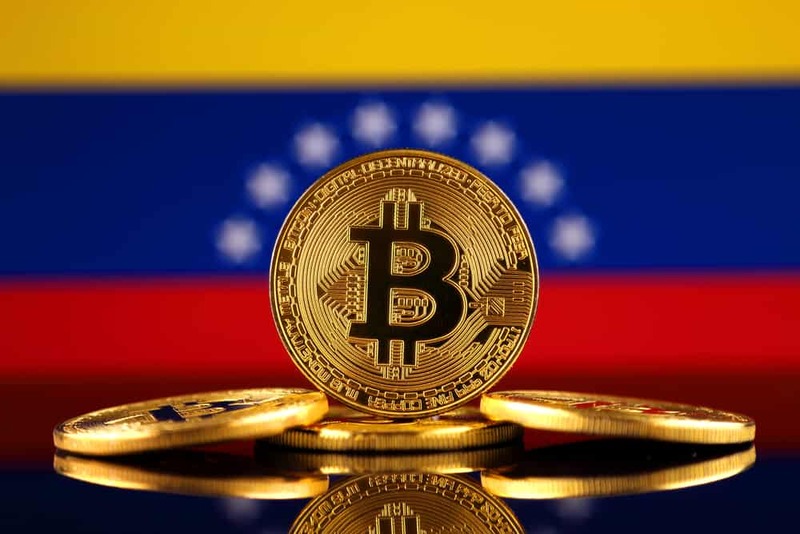 The extreme increase in cryptocurrency trading is linked to the Venezuelan Government’s inability to control the Bolivar inflation rate. The International Monetary Fund (IMF) Data Mapper shows that, due to the high levels of inflation, consumer prices in Venezuela will increase by almost 14,000 percent in 2018. Cryptocurrencies may be seen as a form of additional money or a speculative investment in developed and advanced countries. However, in countries struggling with an extremely high inflation rate like Venezuela, they represent an alternative medium of exchange. Quartz reported Venezuelan President Nicolas Maduro planned a currency overhaul in June to remove the three extra zeros from the Bolivar. The currency overhaul has, however, been postponed to August 4, 2018 — two months after the initial date. The date was extended to provide the banking industry enough time to create a new series of banknotes and infrastructure. The Venezuelan Government appears to be doing everything within its vicinity to gain control. They are, currently, launching their own cryptocurrency. 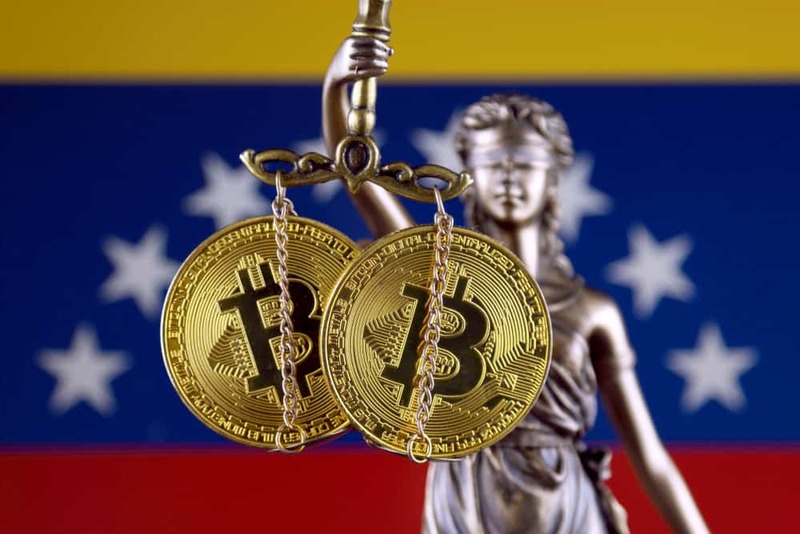 However, it appears extremely unlikely that the Venezuelan people and investors would accept or even trust the new digital currency. Wired shared that cryptocurrencies quickly became a new means of survival in Venezuela in 2017, especially when the inflation level increased to 2,616 percent. Venezuela’s national currency known as the “strong Bolivar” lost approximately 98 percent of its value compared to the U.S. dollar. The IMF also predicted that Venezuela’s economy would also shrink by 15 percent in 2018. Bitcoin has great appeal in countries like Venezuela. It removes the need to trust the Government and banks and places control in the people. Cryptocurrencies are, therefore, different from most technological inventions. Bitcoin may become a mainstream form of exchange in Venezuela. Unlike most technological inventions, Bitcoin may be more popular in economies that are failing as opposed to those that are booming since it solves a very strong pain point. The popularity may be so great that failing economies may even lead the cryptocurrency movement and usher in an age of digital decentralized payments. The country raised $735 million on the first day of the presale of the Venezuelan Petro. Maduro aims to raise, approximately, $6 billion from foreign investors. While the Venezuelan President aims to solve the hyperinflation crisis with the Petro, as per Brookings, Jack Karsten — a research analyst — and Darrel West — the founding director of technology innovation — believe that it’s a fairly dangerous example. Instead of solving the hyperinflation problem, Karsten and West see that other countries like Turkey, Iran, and Russia may undergo a similar fraudulent strategy as Venezuela.